Home Unlabelled MULTISHEEN EBONY HAIR SUPPORTS 9TH ANNUAL INTER HOUSE SPORT OF CHRISLAND SCHOOL. MULTISHEEN EBONY HAIR SUPPORTS 9TH ANNUAL INTER HOUSE SPORT OF CHRISLAND SCHOOL. Multisheen Ebony Hair brand has supported the 9th Annual Inter House sport of Chrisland school, one of the most outstanding academic institutions in Lagos State, as Actress Rosaline Meurer, An Ambassador of Ebony Hair visits the institution with the entire Multisheen Ebony team. 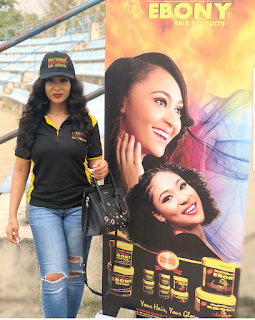 According to Ebony Brand Ambassador, Actress Rosaline, the support by Multisheen Ebony Hair product in the Annual sport ceremony of Chrisland School is a candid display of the social responsibility of the brand. 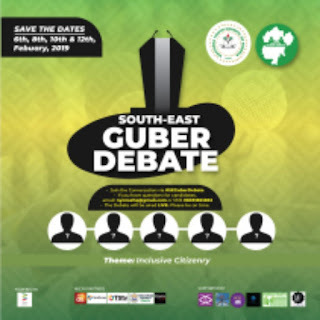 During the supportive visit, sourvenirs, books and other educational materials where shared to students, as well as awards and rewards were given to students to encourage them and inspire them. The management of Chrisland School has rained clouds of appreciation on the Multisheen Ebony product with special emphasis on the team, stating that their kind gestures will remain indelible in the sands of time. Multisheen Ebony product through Ambassador Rosaline, thanked the students, members of staff and other relevant volunteers for making their visit worth a while.